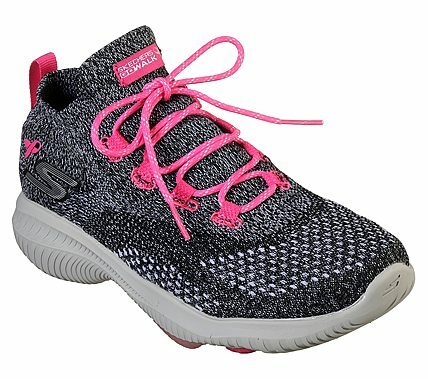 This year Skechers has created the Skechers GOwalk Revolution Ultra  - Hope to raise funds to help support more people affected by breast cancer. Features lightweight, responsive ULTRA GO  cushioning and high-rebound ULTRA PILLARS  for the ultimate in walking comfort. Proprietary SOCKNIT360  knit upper for ultimate comfort .This limited edition style features the iconic pink ribbon logo to raise awareness of the cause and represent our collaboration with Breast Cancer Care. Together we can make a difference and encourage more people to walk with hope.